I checked in with JR about posting a build thread. I'm not a sponsor and do want to honour the sponsors here as they do help keep the lights on. I'm not posting this looking for commissions, honestly my day job keeps me so busy that I just can't see myself taking on commissions with time deadlines yet and I wouldn't feel right offering commissions based on an open ended time line. 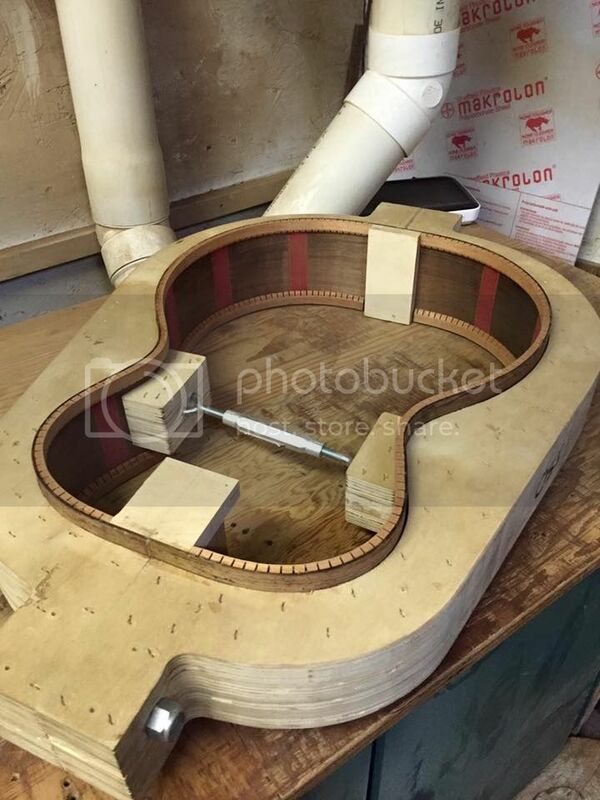 Anyway, I know how most (if not all) of us love to see a guitar being built so I thought I'd post my build of a guitar I'm making for a close friend of mine. This friend owns guitar # 3 and as is expected after another 10 guitars, they are significantly better now, not perfect by any stretch but certainly better. Master grade Italian Spruce I got from Hank Mauel. 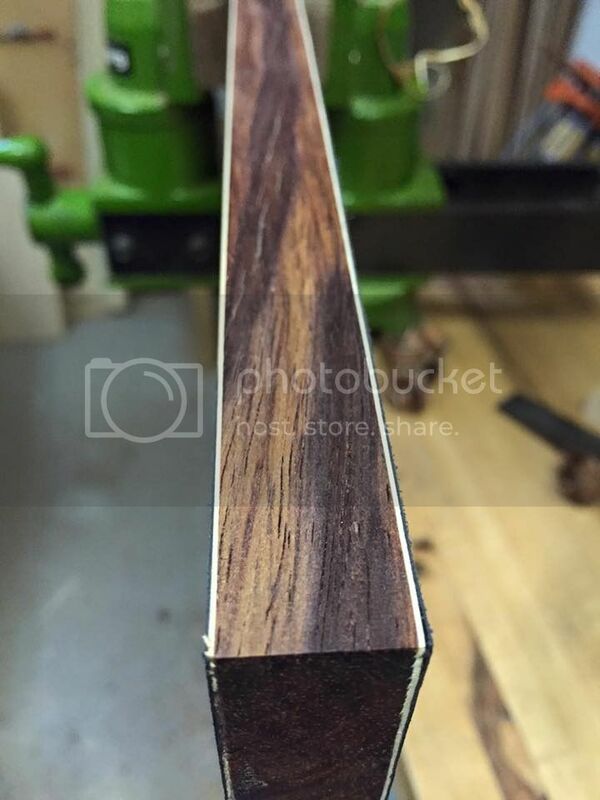 Australian Blackwood I got from Lance Kragenbrink. Please feel free to comment, criticise or just give me a thumbs up or down. 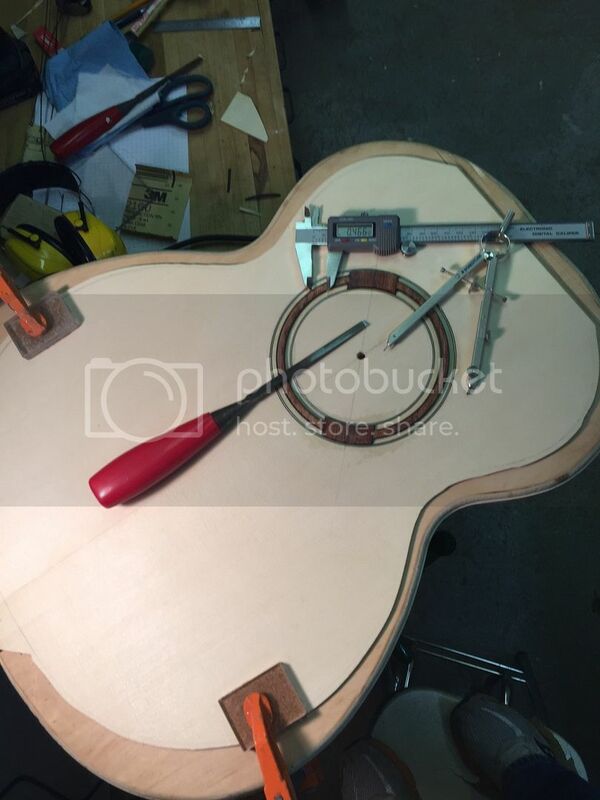 Oh, I should mention that I build very similar to Jim Olson as I've always loved the look and sound of his guitars. I'm about 1487 guitars behind him so please don't expect much. Last edited by Rod True; 11-18-2015 at 12:42 AM. Reason: Adding detail to title. 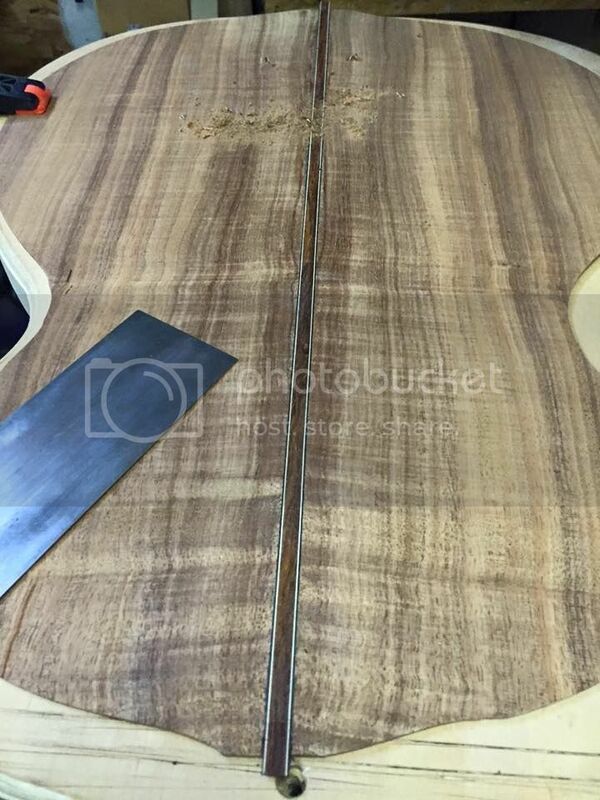 Here is the master grade Italian Spruce. 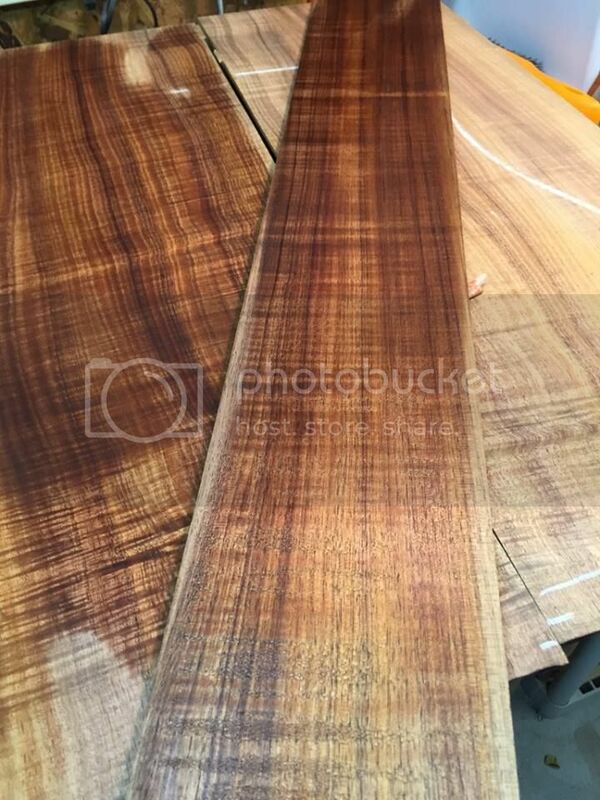 I'm simply amazed and the tap tone of this wood. It rings like a bell and sustains like nothing else I've worked with to date. 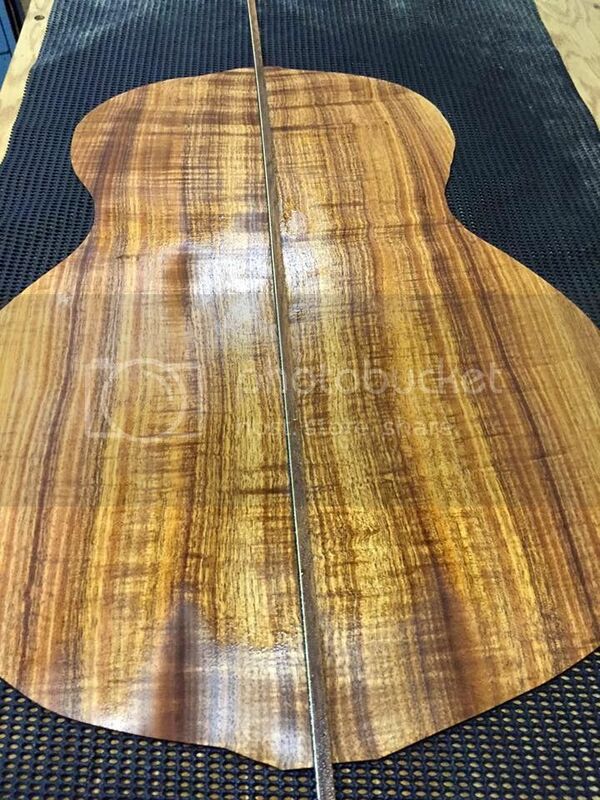 The Australian Blackwood back and sides. 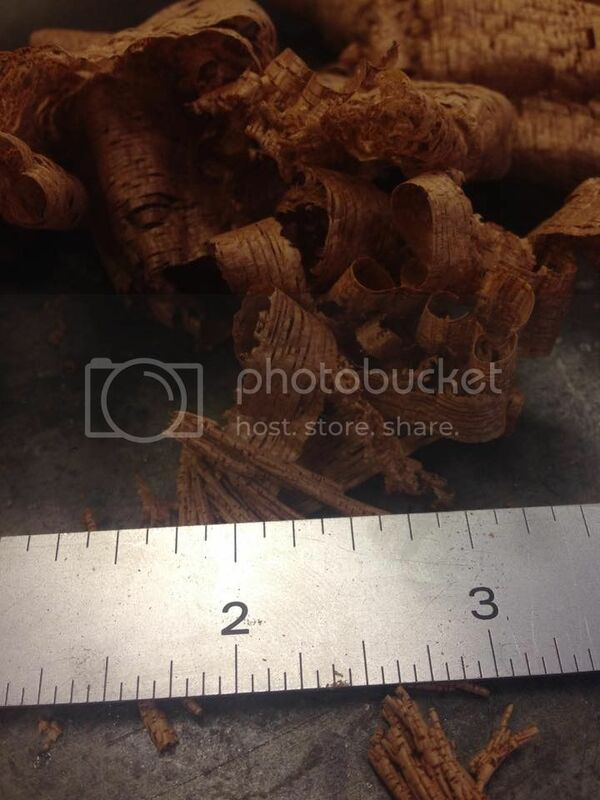 Very nice grain, colouring and curl in this set. This is the 3rd time I've built with Aussie Blackwood and I have to say that it's a real treat to work with, from my limited experience. A bit of close up on the back. 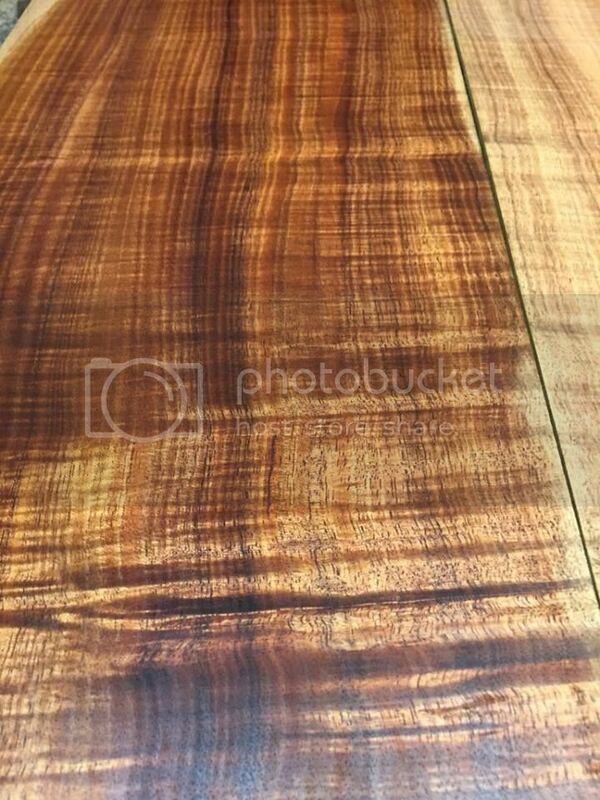 I love the colouring of this blackwood set. 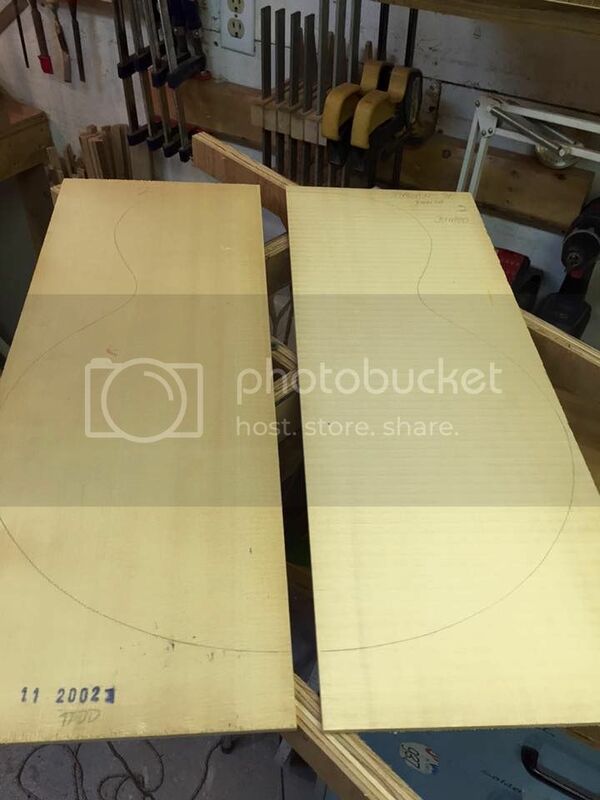 The neck comes from a one piece blank like many makers use. 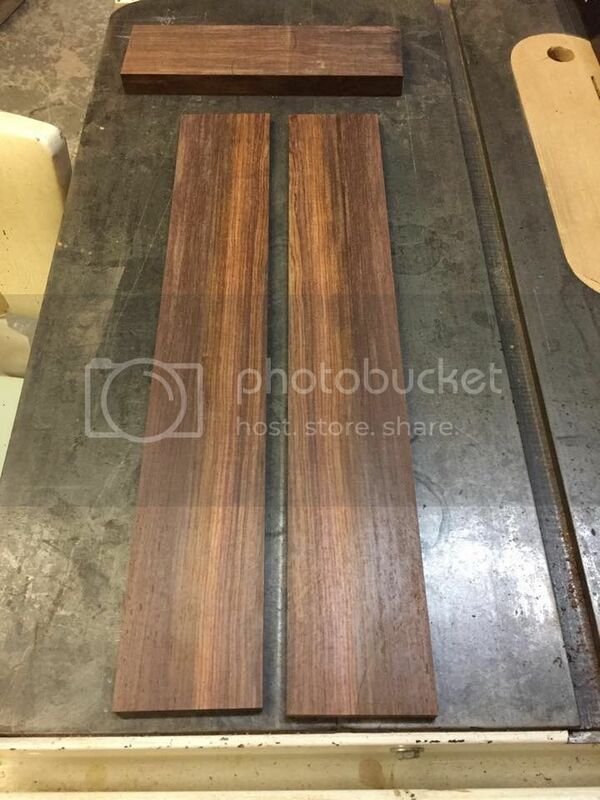 The cocobolo fretboard and bridge material. 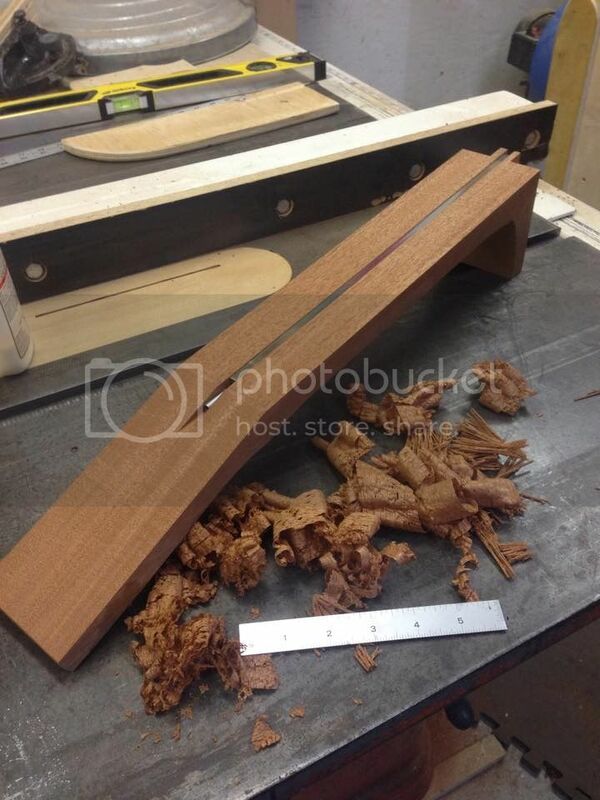 I was able to get 2 boards and 2 bridges out of this, plus 2 headstock veneers. One more post for the night. 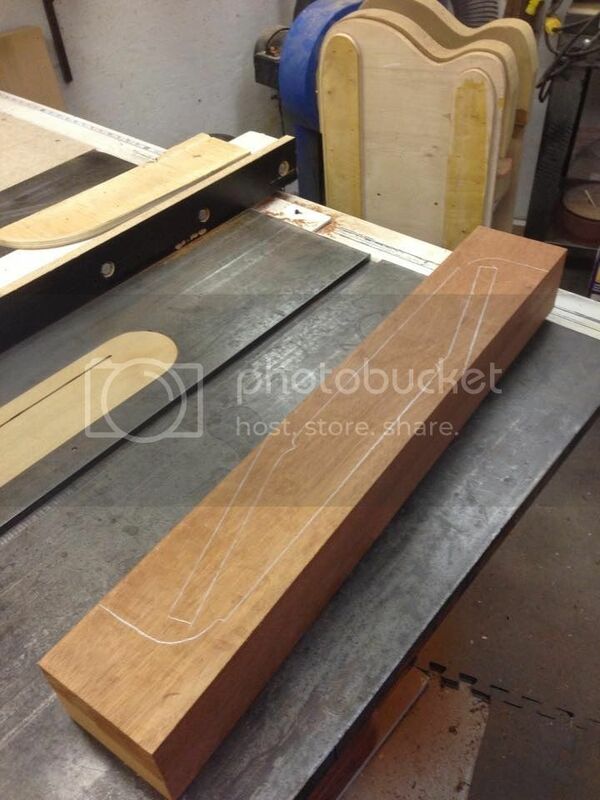 The last few days I've been working on the headstock. 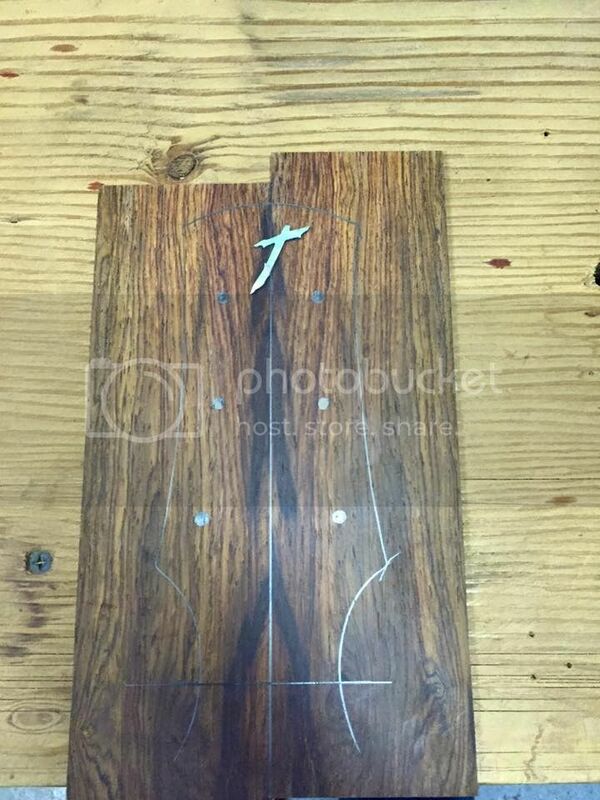 I book matched some of the cocobolo for the headstock veneer, laid out my T logo, inlayed it then glued it to the neck. 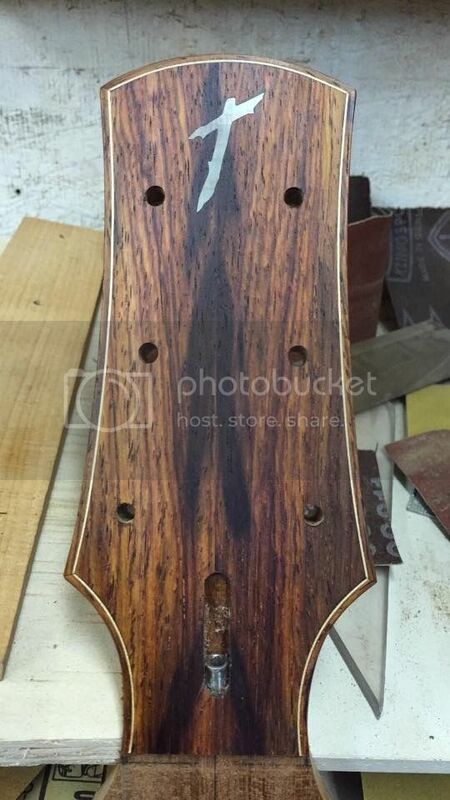 Tonight I bound the headstock and put a quick wipe of shellac on it to show the colour. 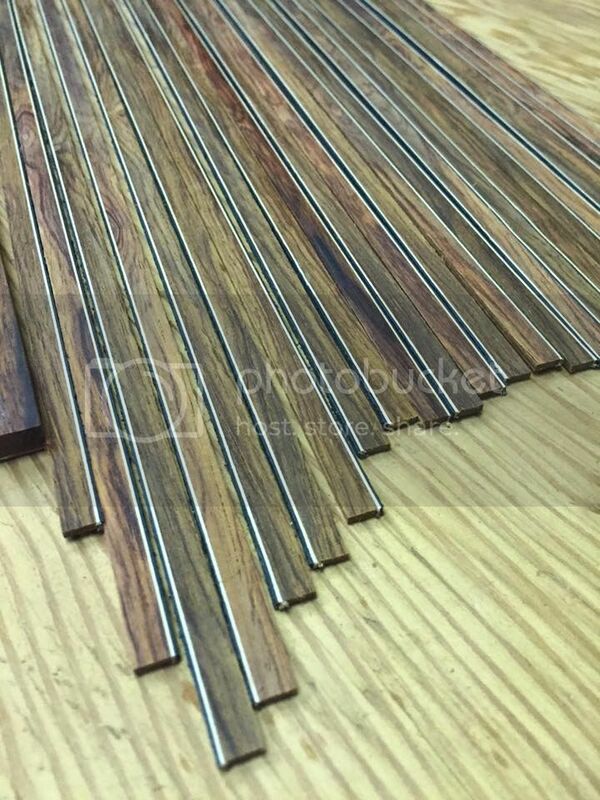 Going to be beautiful Rod, love Aussie Blackwood. Nice to see it coming together! 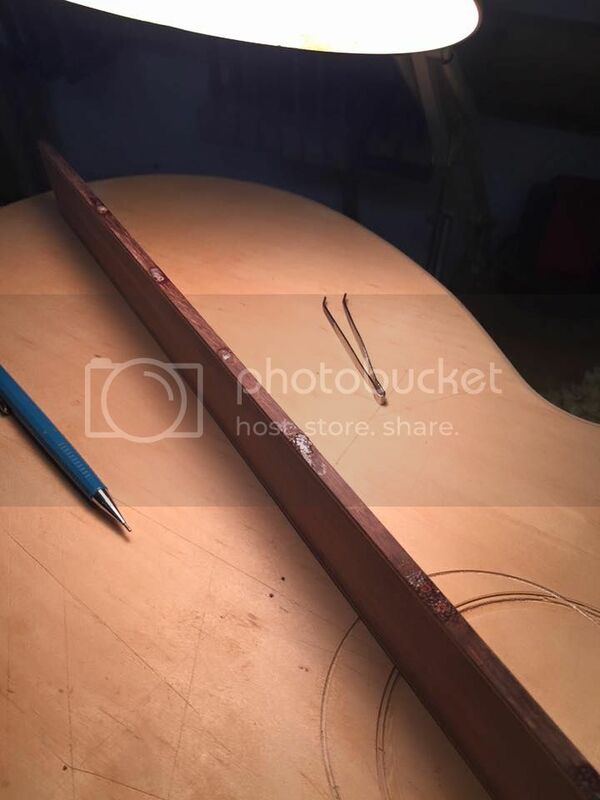 So I've been slowly working on this guitar while I was finishing off the last one posted here. I've got the rims all together and lined, and I got the back all braced up. 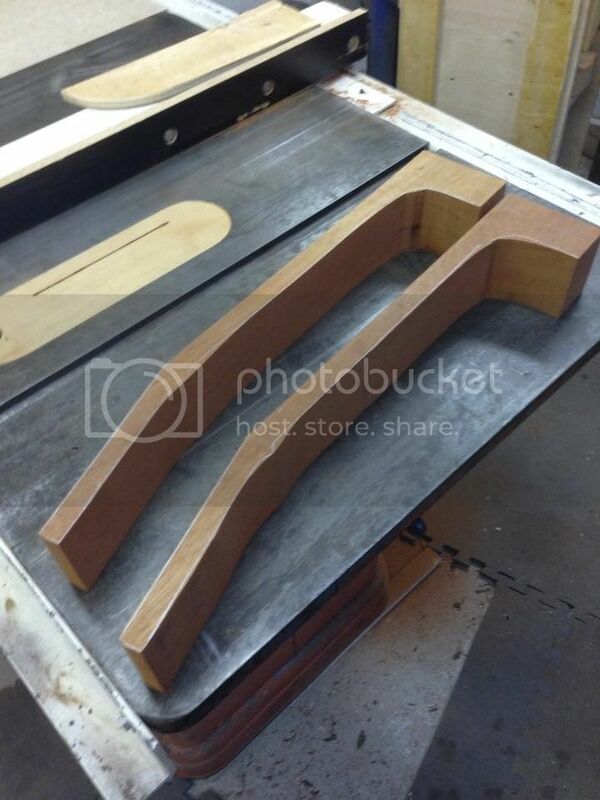 Next I'll shape the back braces and get the back ready to glue to the body. 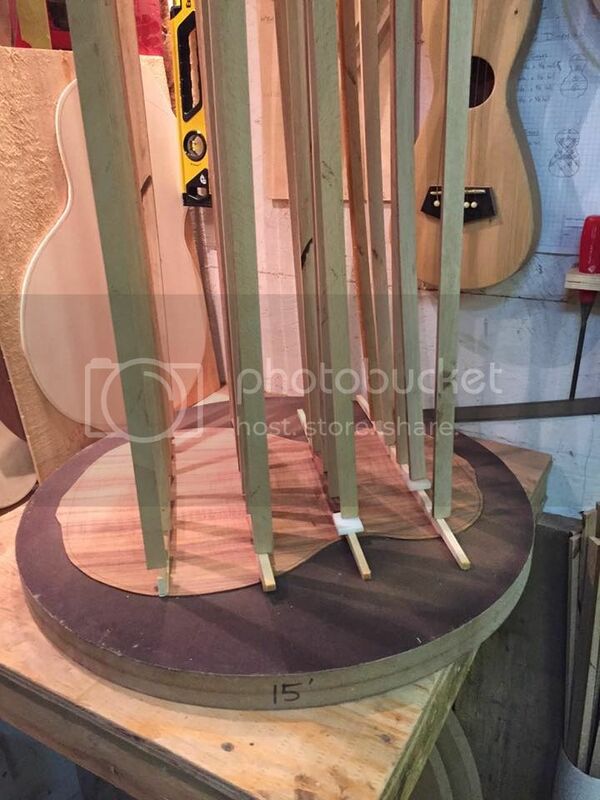 Then it'll be onto the rosette and the top bracing. I was also deciding if I was going to add a back stripe to the guitar. The customer said it was up to me after I sent both of these pictures. This is a piece of the binding/purfling and I would add a w/b purfling to the right side of course. I decided to go with the back stripe. It will tie the back and sides together nicely I think. And here's a classic photo of braces in the go bar deck. Ok, here's my lasted bit of work over the past few weeks. I got the body all lined and ready for the back. 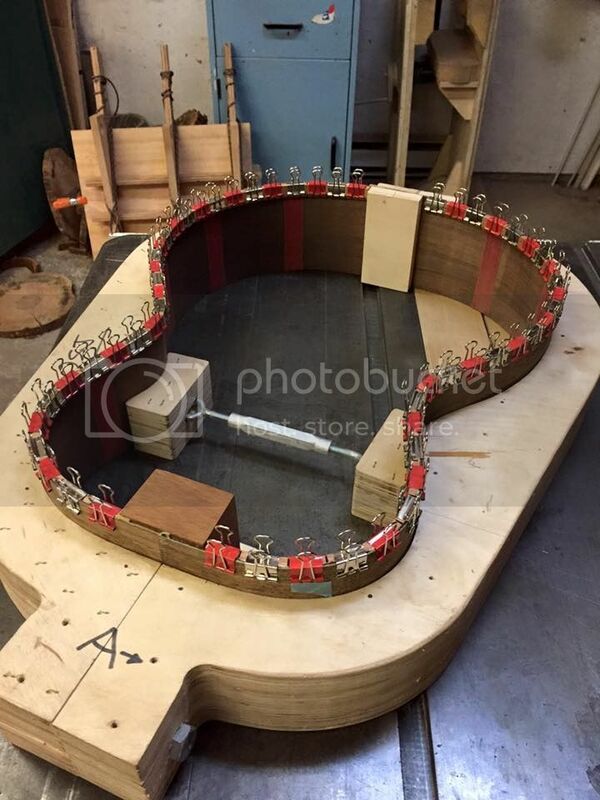 The back braces are all shaped, just got to put the centre strips in place. 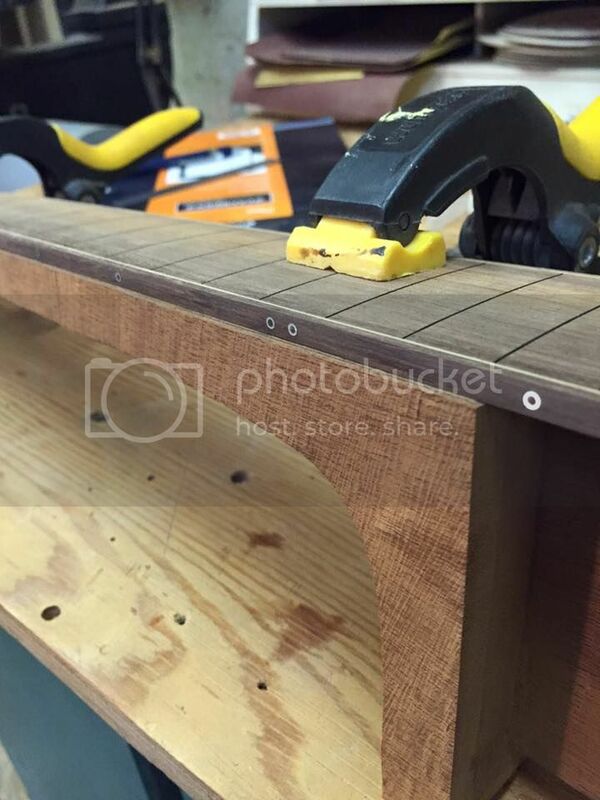 At the same time I put the fretboard markers in place. I went with the "halo" dots as I really like the look of them. I've got the rosette done and over the next few weeks I'll get to the top bracing. It'll be a box by the middle of February I'm sure, might even be ready to send out to finish by the end of February. 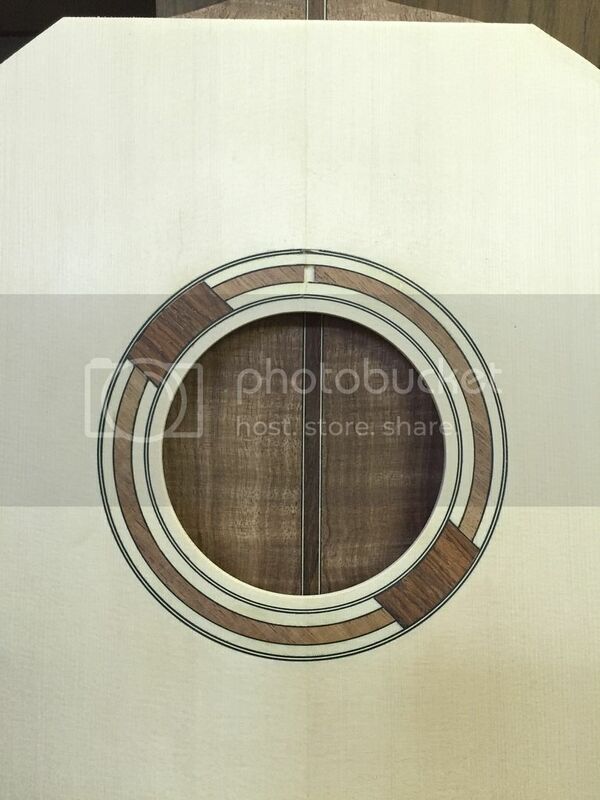 And that 15th fret dot isn't larger, it's just cause that portion of the picture is out of focus. 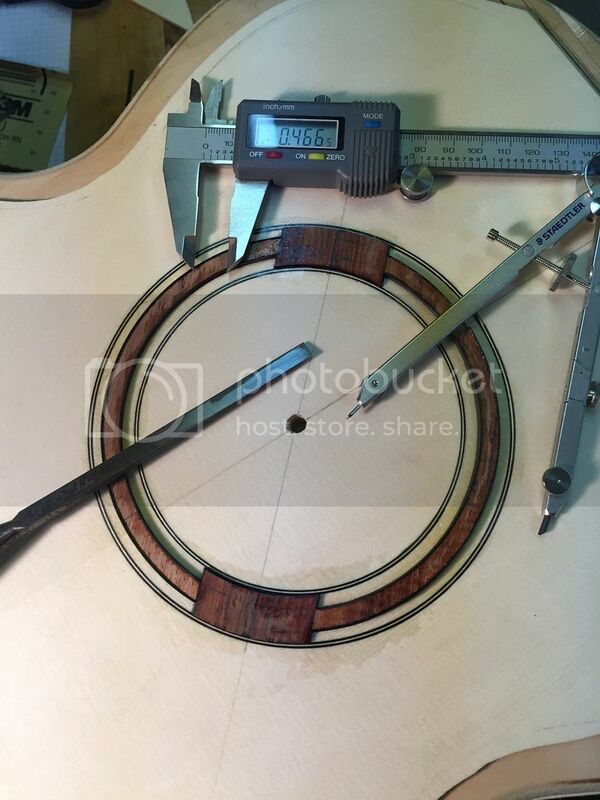 Working out the rosette rings. 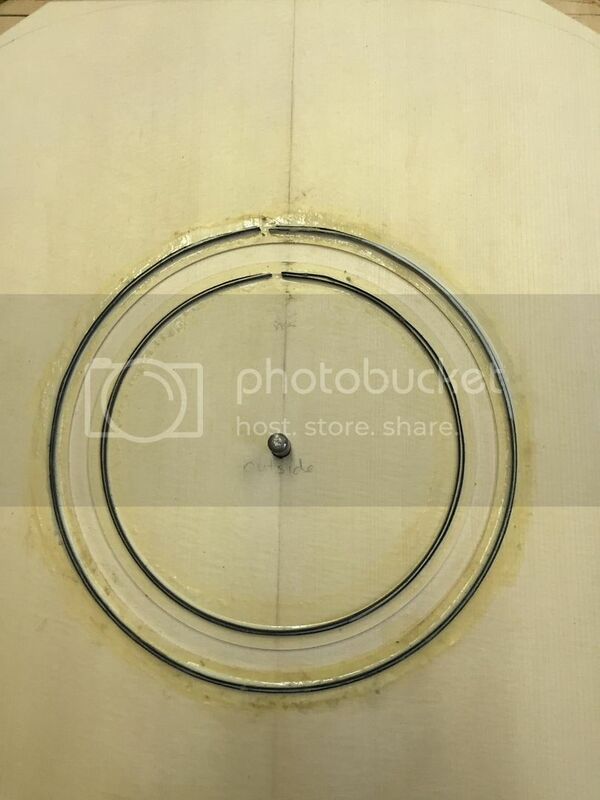 And with the soundhole cut out and with the back showing behind. That's it for now...stay tuned. Center graft installed. I like to do this after the braces go in as I find I get a better fit of the graft, for me anyway. The "boat" all done and ready for the top to be installed. 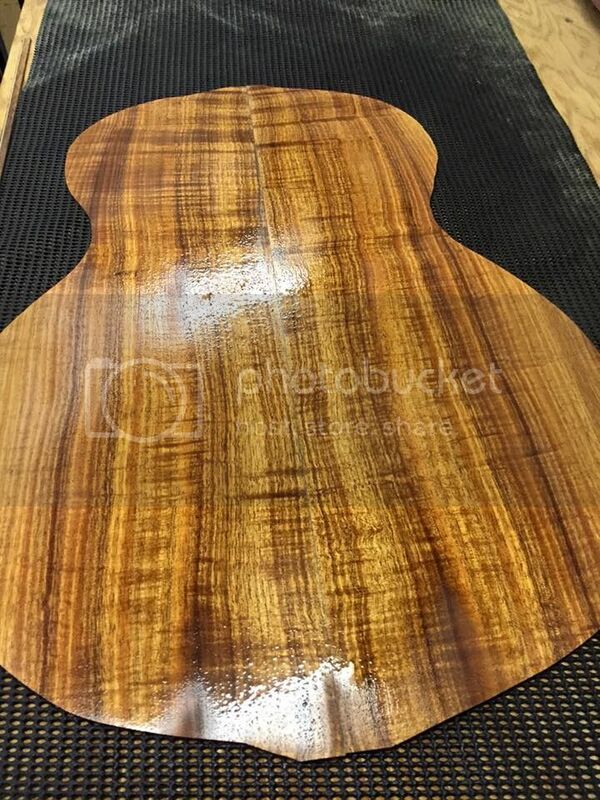 This is the first time I've shellaced the inside of the guitar. The top all braced and ready to glue to the rims. 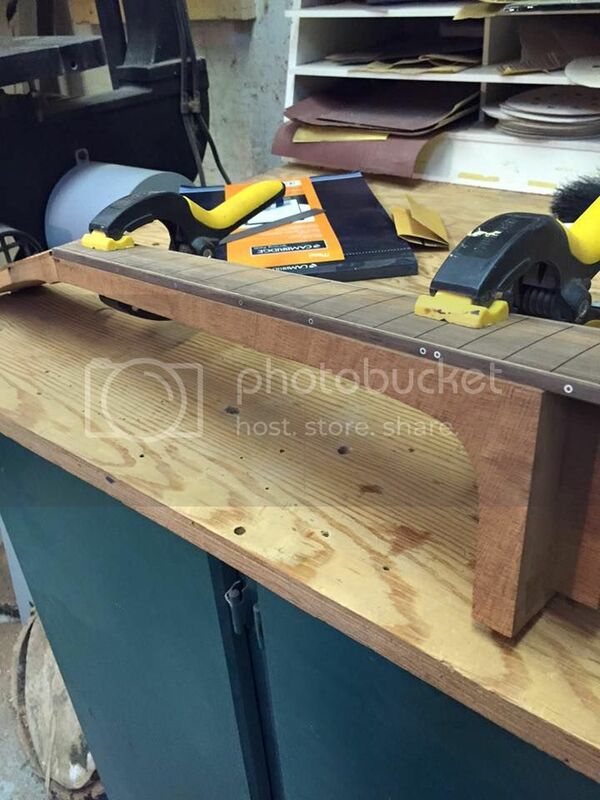 I'll finish the bridge then start binding the body. Rod, I'm with JamesO...thumbs up!